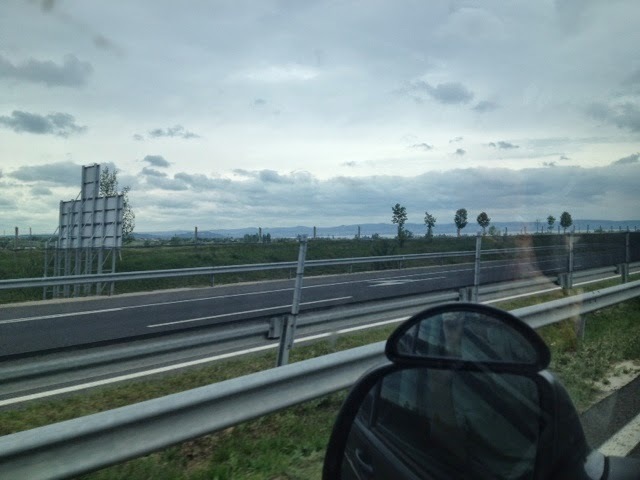 After a very deep sleep in Zagreb I took the driving position and it was time to hit Budapest, somewhere I have wanted to visit for a very long time. 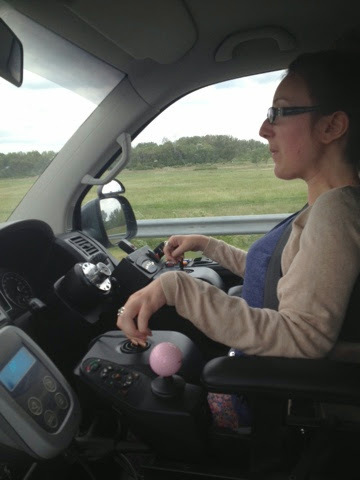 David was chief navigator and photographer, and at some point during the 4 hr journey he took this photo of me driving, though I have no idea when! 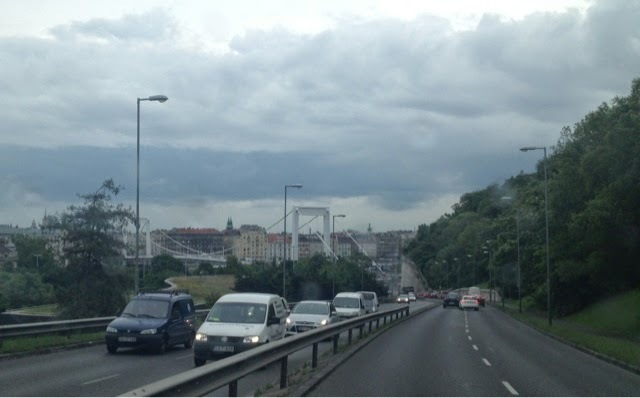 Driving across the Liberty Bridge which links Buda and Pest was a beautiful sight, the buildings along the river side are beautiful and we can hopefully explore these more in the morning. We dumped our belongings at our hotel and went out to grab some Hungarian food before a quick wander around the shops until it started to spit with rain. The high street seemed luxurious and thriving but only the souvenir shops had ramped access, which was a little disheartening but we found a great (albeit more expensive) restaurant where I had Goulásh and it was SO GOOD. 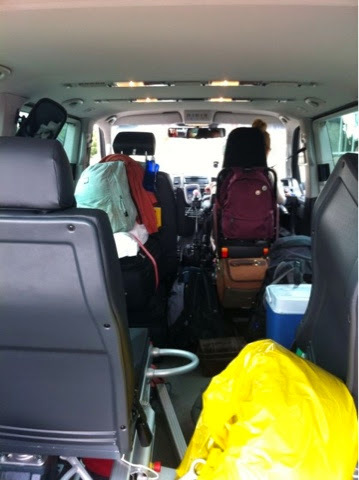 The hotel is probably the most accessible we have had so far and we are really pleased with the central location. 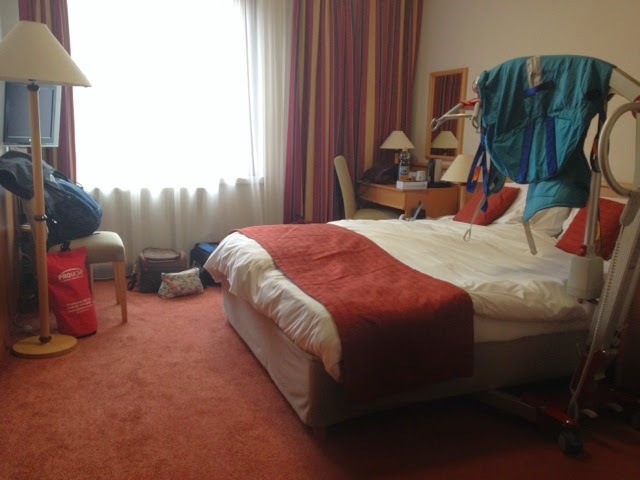 It's a Mercure, called Budapest City Center and the room is really spacious with plenty of room under the bed for hoist legs, lots of plug sockets and all at an accessible height! 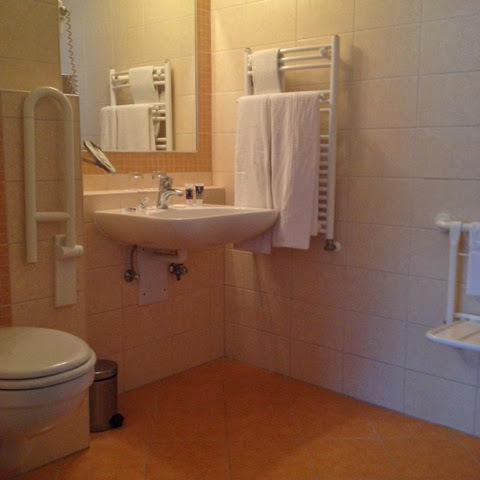 The bathroom too is great, lots of space and grab rails/shower seats. I can't fault them, Mercure have done a fantastic job with their accessibility.